Bring a stream of clean and fresh air to your house with Geniani humidifier! You want to have a good mood, clean skin, and good night sleep? 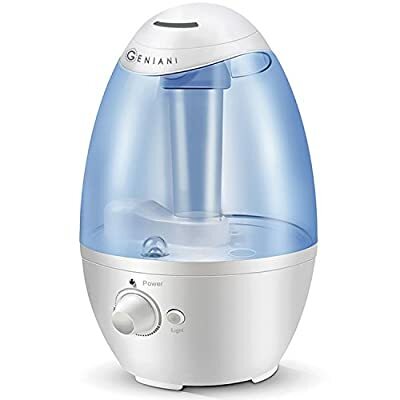 Try using Geniani ultrasonic cool mist humidifier! It creates humidified air from water and keeps your skin look fresh and shiny. You don't have to spend much time to care about Geniani humidifier. Filling it with the water once a day is pretty much everything you have to do. Works quietly to make your work and studying as effective as possible. To make it easier for you to sleep at night, we also added a nightlight feature. Soft light is relaxing and helps you or your child to fall asleep. Thanks to our 360-degree nozzle, you can regulate the direction of the air stream. Spread it to your bed or even in several directions simultaneously. We want to assure you that our company has dozens of support agents that will always have your back and answer every question, so feel free to contact us. Geniani also provides 2-years warranty for humidifiers, enjoy risk-free purchase! NO NOISE - JUST FRESH AIR. 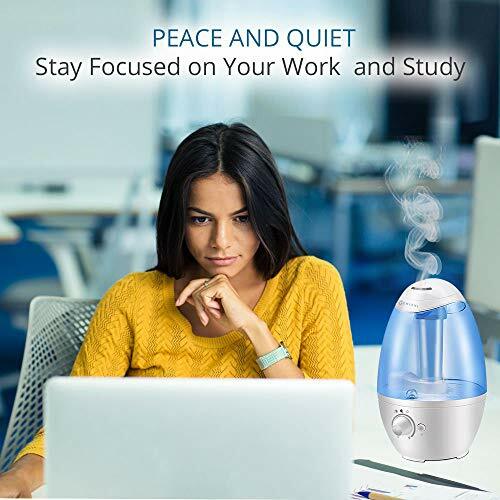 Geniani humidifiers fills your room or office with clean and fresh air and makes your work and daily activities much more pleasant and efficient. 3L WATER TANK. Even a large room or office (on the high mist setting) will be full of fresh and clean air for 12 hours. If you have a smaller room (on the low setting), 3 liters is enough to produce air moisture up to 24 hours. NIGHTLIGHT FOR BETTER SLEEP. 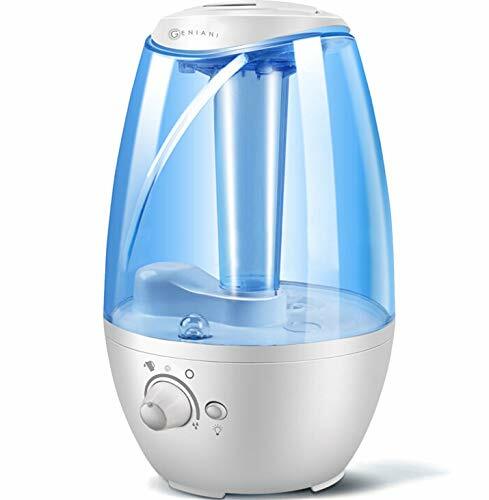 Geniani cool mist humidifier helps you have a better relax at night with the soft light. AUTOMATICALLY TURNS OFF. If during the night a humidifier happens to be out of the water, you can sleep tight - it automatically shuts down and turns on after you refill it. 360-DEGREE MIST NOZZLE. It helps you decide in which direction you would like the moisturized air to be spreaded.